What is the Vitamin D Council? The Vitamin D Council is a 501(c)(3) nonprofit organization in California, United States, working to educate the public on vitamin D, sun exposure and health. “Why,” you might ask. Simply put, humans do not get enough sun exposure in the 21st century. Because of this, many — if not most — humans are deficient in vitamin D.
“What’s so wrong with that,” you might ask. Researchers are beginning to discover that vitamin D deficiency is a risk factor for many diseases, including heart disease and cancer. Furthermore, researchers are discovering that vitamin D deficiency may make some diseases more severe. Even more, researchers are discovering that vitamin D can be an important piece in the treatment of some illnesses and diseases. We’re here to help and educate. We work to educate patients, families, doctors and health professionals on vitamin D and what the latest research shows, to improve the quality and longevity of lives. 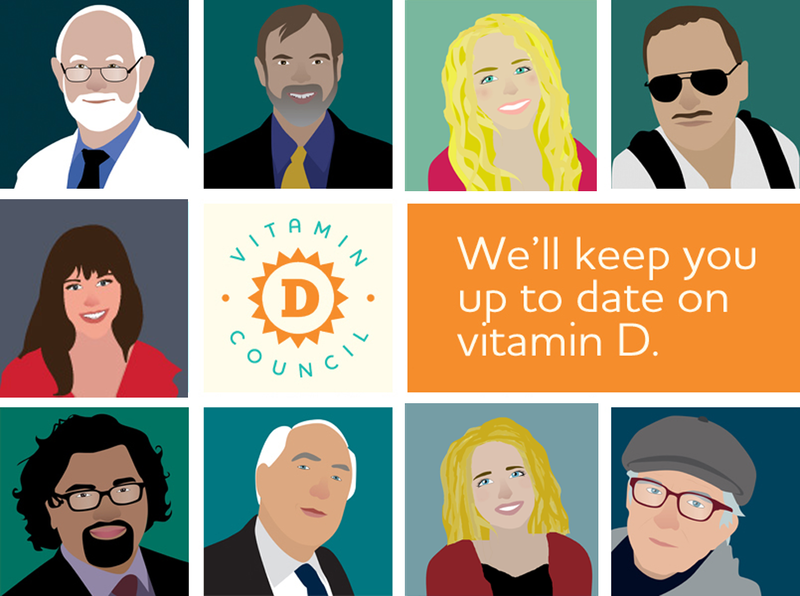 The Vitamin D Council was formed in 2003 by current Medical Director John J Cannell, MD. He believed that there were likely bad consequences in getting so little sun exposure (cough, vitamin D deficiency) and wanted to do something about it. So, he founded the Vitamin D Council to educate the public on the importance of sun exposure and vitamin D.
Research on vitamin D is pouring out and it’s hard to keep up with the latest information. Recommendations on vitamin D and sun exposure are confusing, conflicting and inconsistent. We’re here to help both the public and health professionals sort through everything. The Vitamin D Council serves as a center for evidence-based vitamin D research and is a reliable source for the general public.